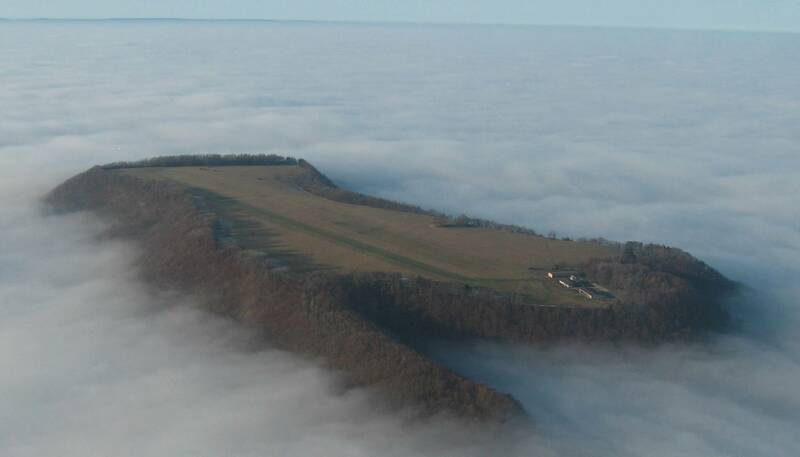 I came across this amazing picture of Farrenberg airfield in Germany. OK it does not have an ICAO code and METAR but was wondering how would a METAR display and overcast BELOW airport level ? That would be CAVOK I guess. There are a few airfields like this, my favorite is Coburg EDQC which has RNAV procedures. It has seen a few bad accidents and is currently being relocated into the valley which will make it less usable due to frequent low stratus. Coburg is not being relocated. They gave up on that idea 2 years ago. Ruhpolding was similar and in with loads of low cloud and fog around in winter. Sadly it is gone.